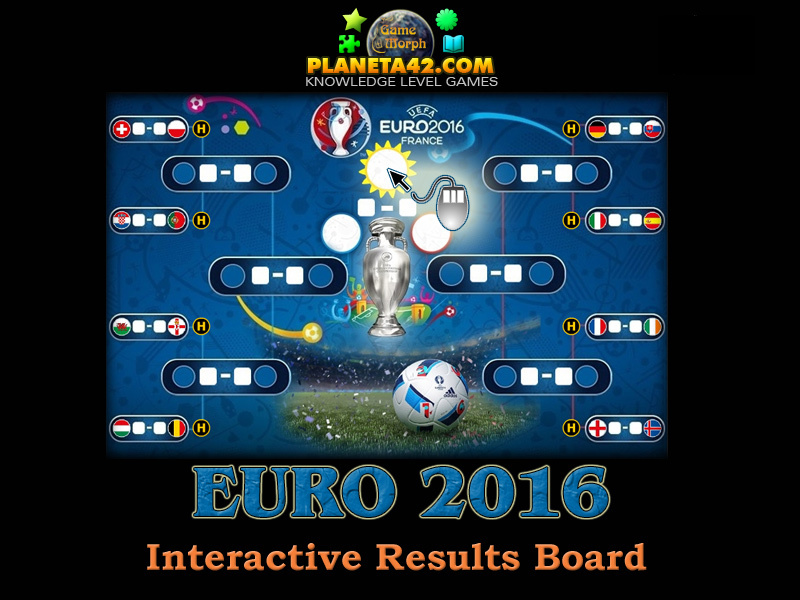 Interactive Euro 2016 football tournament results board. "Euro 2016" is a free online knowledge level board about 2016 UEFA European Championship. It will show a real historical, or fun fictional results for every match played from the Round 16 to the Final. Overall data include the team nationality, the squad players, the date of the matches and the score. And all of this fits in one screen, without going to hundreds of web pages. A small flash game for desktop computers, laptops and tablets, which may be played in the web browser. The Sports Knowledge Board include the best 16 teams, to play with. Part of the Fun Yard Games for Computers educational tools. 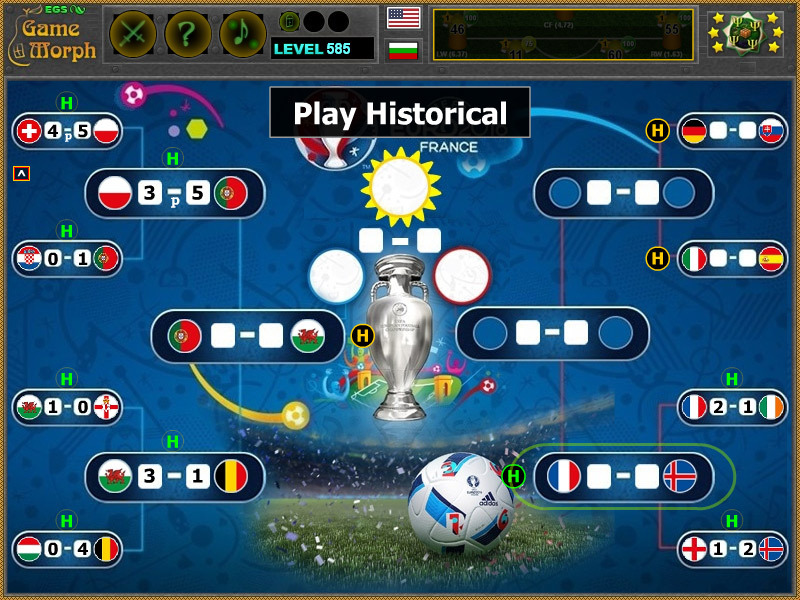 This app also apply for euro cup 2016 tournament bracket, euro cup bracket simulator, european cup simulator 2016, euro cup bracket predictor, euro 2018 predictor game, euro cup 2018 predictions simulator. What is the result of last 15 matches of Euro 2016? Which are the best 16 national teams in Euro 2016 championship? What are the results of the Quarter-finals in Euro 2016? How to play Euro 2016.
will show the name of the country and the players , selected by the coaches to play in the match. or the random result have generated the historical nation. This way, a certain match may be played for fun predictions, as the board is released during the Quarter-finals. Know the Euro 2016 champion. All ingame pictures are property of UEFA EURO 2016. Official site. The board is made for fun and knowledge. Labels: Football Games , Board Games , Flash Games , Bracket Games , Education Games , Interactive Results Predictors.